Sports Direct allegations leading to shopper snubs on the High Street? With sales booming and a healthy share price reflecting their success, everything on the surface looks rosy for retail giant Sports Direct. However, a Channel 4 Dispatches programme aired last week made allegations of a far more salacious nature. Those on controversial zero-hour contracts were said to be shammed over a tannoy system for a variety of misdemeanours. Staff were also said to be living in a permanent sense of trepidation regarding a ‘six strikes and you’re out’ disciplinary process. Underhand pricing tactics supposedly used the by company were also investigated. 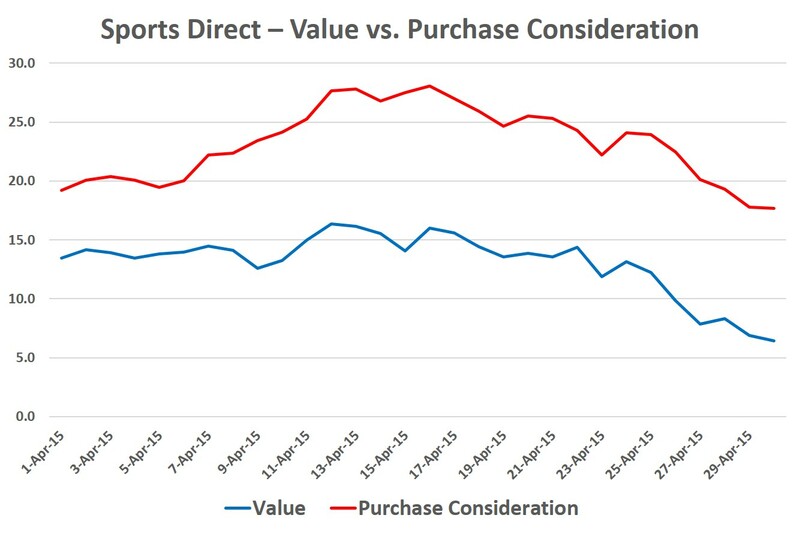 But what effect, if any, will this have on consumer attitude towards Sports Direct, and will it ever impact upon their buying behaviour? YouGov’s BrandIndex data helps to answer these questions. Our Buzz Metric measure whether a respondent has heard something negative or positive about a brand in the past two weeks. Following the documentary, Sports Direct’s rating has fallen to its lowest level for over a month -13. Mike Ashley, the company founder is also Newcastle United’s owner. This enable him to promote Sports Direct to football fans more effective. 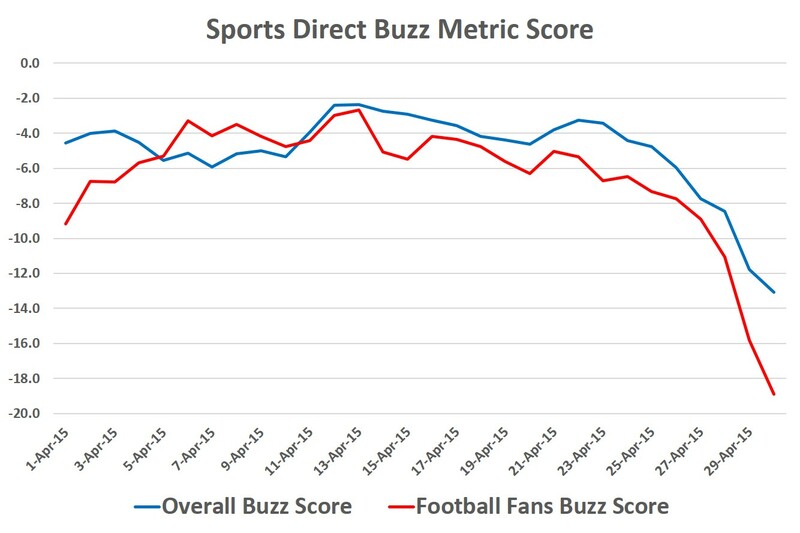 However, the buzz score for football participants and followers is even worse -19. But whilst bad publicity is an issue in itself, perhaps more serious is whether there has been cut through on matters such as value perception and purchase consideration. The programme investigated whether products were labelled as reduced from a price that the goods were never sold at. YouGov’s Value metric shows a decrease in whether people believe the brand offers good value. The score has dropped from +15.6 to +6.4. It remains to see whether stains on Sports Direct’s reputation will have any long term effect. Will consumers always be tempted by a cheap deal instead of searching out a brand which is more ethically conscionable? The brand has built its success on cheap goods offering ‘value’, but with doubts emerging over the legitimacy of these claims, will people look elsewhere?